A white Chicago police officer charged with murder in the 2014 shooting of Laquan McDonald has testified that he opened fire when the black teenager kept advancing toward him while waving a knife. Officer Jason Van Dyke adamantly stuck to his version events Tuesday even when confronted with video that showed a different scene. About 10 other officers were on the scene. Prosecutors have stressed that none of them opened fire. A white Chicago police officer charged with murder in the shooting of black teenager Laquan McDonald is telling the jury that he opened fire when McDonald kept “advancing” at him waving a knife. Officer Jason Van Dyke testified Tuesday that he kept firing because he was not certain that he had struck the teen until the teen fell to the ground. Video of the shooting shows McDonald veering away from officers when Van Dyke opens fire. McDonald spins and crumples to the ground as Van Dyke continues to fire. He fired 16 shots at the 17-year-old. Van Dyke at times became emotional and wiped tears from his cheeks during his testimony. He said that before firing, he shouted over and over again for McDonald to drop the knife. A white Chicago police officer charged with murder in the shooting of black teenager Laquan McDonald has taken the stand to testify at trial. Police Officer Jason Van Dyke began testifying Tuesday afternoon before a technical problem forced a recess at the trial. McDonald was shot after police were called to a report of someone breaking into vehicles. The 17-year-old had a knife. Testimony shows responding officers called for help and were waiting for someone to arrive with a Taser. A psychologist says that a white Chicago police officer charged with murder in the death of Laquan McDonald had told him that he had thought he would have to shoot the black teenager even before he got to the scene. Dr. Laurence Miller interviewed Officer Jason Van Dyke for defense attorneys. McDonald was shot after police were called to a report of someone breaking into vehicles. The 17-year-old had a knife. Testimony shows responding officers called for help and were waiting for someone to arrive with a Taser. Miller testified that Van Dyke’s shooting of McDonald was a “reasonable response” to what he perceived as a deadly threat. But under questioning from prosecutors, Miller said Van Dyke had told him that he had told his partner on the way to the scene that he thought they would have to shoot the teen. Miller says Van Dyke also wondered why other officers had not already done so. A psychologist says white Chicago police Officer Jason Van Dyke’s shooting of black teenager Laquan McDonald was a “reasonable response” to what he perceived as a deadly threat posed by the teen. 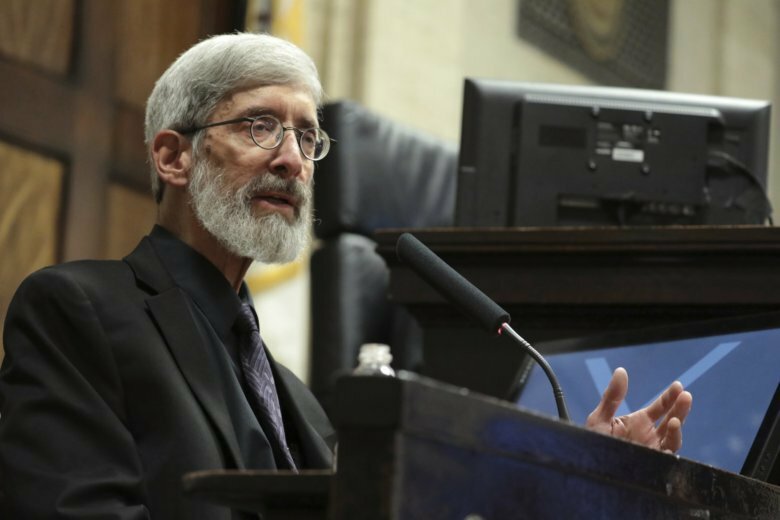 Dr. Laurence Miller testified Tuesday during Van Dyke’s murder trial in the 2014 shooting of McDonald. Miller says he interviewed Van Dyke for the officer’s attorneys. He concluded that the officer responded in a way consistent with his training. Miller noted that Van Dyke knew that McDonald had punctured the tires of a squad car with a knife and that the 17-year-old had not followed officers’ orders to drop the knife. Defense attorneys have been presenting their case that the shooting was justified for more than a week. One big question is whether or not Van Dyke will testify. The murder trial of Chicago police officer Jason Van Dyke will likely resume after an unexpected day off. Van Dyke’s attorneys are expected to continue calling witnesses on Tuesday after Monday’s testimony was called off by the judge because a juror was ill. The defense team is believed to be getting close to calling its final witnesses and it remains unclear whether Van Dyke will testify about the night he shot Laquan McDonald 16 times in October 2014. Prosecutors have contended that the white officer was not justified in shooting the black teenager. However, Van Dyke’s attorneys maintain that he acted properly when confronted with McDonald, who had failed to drop the knife he was carrying after police had ordered him to do so.